Musk complains that "something is broken with SEC oversight"
FILE - In this Sept. 17, 2018, file photo, Tesla CEO Elon Musk speaks in Hawthorne, Calif. The latest dust-up emerged late Monday when the Securities and Exchange Commission asked a federal court in New York to hold Musk in contempt for violating a $40 million settlement he begrudgingly reached with the U.S. stock market's chief regulatory agency five months ago. Allegations that Musk broke the agreement could renew a debate about whether he has become too reckless to continue as Tesla CEO. This even though many analysts still consider his vision to be instrumental to the future success of the electric car maker he co-founded. Tesla's stock dropped about 4 percent in after-hours trading Monday. Contempt charges are typically brought against individuals who defy a court order. The SEC settlement was approved by a judge last fall, exposing Musk to potential fines or even jail time if he is found to be in contempt. Tesla didn't immediately respond to requests for comment about the SEC's latest move. But letters from the company's attorneys included in Monday's filing argue that Musk remains in compliance with the settlement. Musk said on Twitter Tuesday morning that "something is broken with SEC oversight." The response came as a reply to another user who had complained about the market-moving effects of the SEC's action. 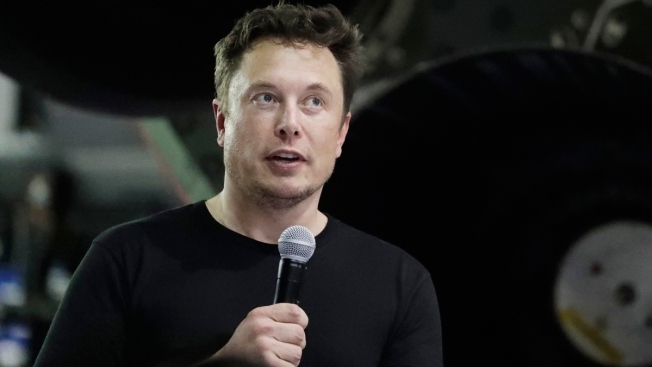 The SEC had sued Musk last September for using his Twitter account in August to announce he had secured financing for a potential buyout of Tesla — news that caused the company's stock to swing wildly. He later backed off that buyout idea, but regulators concluded he never had lined up the money to pull off the deal that probably would have required at least $25 billion to pull off. Musk initially contended that he hadn't done anything wrong before reluctantly agreeing to have future tweets that could affect Tesla's stock be pre-approved. Now the SEC is alleging that Musk broke the terms of that agreement with a Feb. 19 tweet projecting that Tesla would make about 500,000 cars this year. About 4 1/2 hours after that tweet, Musk altered his statement , saying he meant that Tesla had started to manufacture cars at a weekly clip that would translate into 500,000 cars during yearlong period, but not necessarily for calendar 2019. Musk acknowledged he didn't get company approval for the initial Feb. 19 tweet, according to the SEC, even though car manufacturing statistics can affect stock prices of automakers. In his defense, Musk said he didn't think his tweet needed clearance because he was basing the information that had been disclosed in late January. Both Feb. 19 tweets occurred while the U.S. stock market was closed. But those factors evidently didn't sway the SEC, which illustrated Musk's allegedly contemptuous behavior with some of the comments he made during a television interview with "60 Minutes" that aired December 9. In that interview, Musk revealed that no one at Tesla was screening the tweets he posts to his account, which now has 25 million followers. When pressed how Tesla officials could know whether his tweets might be violating the SEC settlement if they weren't readying them before they were posted, Musk replied: "Well, I guess we might make some mistakes. Who knows?" The SEC also pointed out that during the same interview, Musk declared: "I want to be clear. I do not respect the SEC. I do not respect them." Tesla's legal team realized Musk may have crossed a line with his Feb. 19 tweet about car manufacturing, according to the SEC. After that tweet posted, a Tesla lawyer "immediately arranged to meet with Musk and draft the corrective statement that Musk tweeted out over four hours later." CNBC reported that Tesla shares fell after SEC asked a judge to hold Elon Musk in contempt for violating deal.